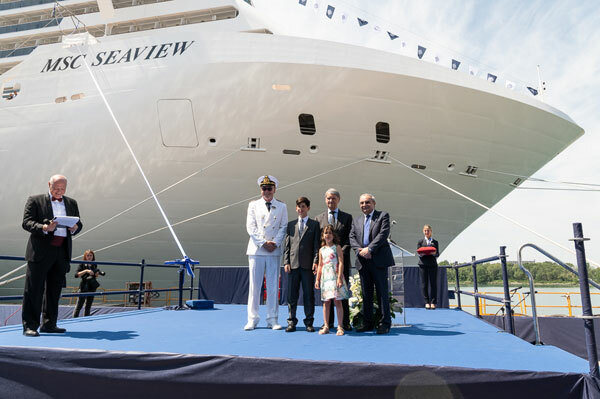 MSC Cruises officially took delivery of its new flagship – MSC Seaview – yesterday (June 4) at the Fincantieri shipyard in Monfalcone, Italy. Coming on the heels of sister ship, MSC Seaside, which launched at the end of 2017 in Miami, MSC Seaview – with a maximum capacity of 5,429 guests – is ready to start sailing its inaugural season in the Mediterranean. Special features include a 360-degree Promenade and the MSC Yacht Club, an all-inclusive experience with exclusive access to One Sun Deck and Top Sail Lounge, private restaurants, 24-hour butler service and devoted concierge. Seaview represents a key highlight for MSC in 2018 as it is the one new-build coming into service this year. It is also the third MSC new-build to come into service in just 12 months, the second ship to be built by Fincantieri, and the 15th ship to join the MSC Cruises global fleet. After cruising the Mediterranean, Seaview will head to South America for the winter season.